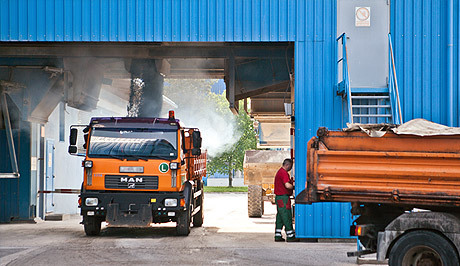 Offer - TAČ, Asphalt Factory Črnuče, d.o.o. Our rich offer enables you to find a wide and varied selection of high-quality asphaltic mixtures. If you have difficulty in understanding certain mixtures, you can contact our friendly staff by e-mail: info.tac@siol.net and they will answer any questions that arise regarding asphaltic mixtures in our offer. While creating competitive prices, we pursued the proportional relation with the quality of our asphaltic mixtures. This is how we have designed an extremely appealing discount policy. The price list and basic payment terms, which are now in use, are valid since 17th March 2014. For our long-term contracting customers, we individually design competitive prices based on the off-take quantity of asphaltic mixtures. In case that a customer does not pick up the ordered and produced amount of asphaltic mixtures, we have the right to charge these products to our contracting customer. You can view the Asphaltic Mixtures Price List by downloading it in PDF from this page: Price list. or contact us by e-mail and we will send you the prices of certain amounts of asphaltic mixtures on the very same day. 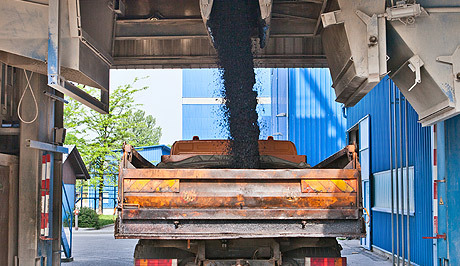 If you are not familiar with the precise characteristics of certain asphaltic mixtures from our offer and you cannot predict their exact quantities, you can always contact us by e-mail and our friendly and qualified sales staff will offer you advisory services about our diverse offer as well as present the possibilities of specific discounts. We are flexible in adapting to the individual customer’s requirements. Checking the weight of vehicles and their cargo is very important in ensuring a safe transport. The company TAČ d.o.o. offers weighing of vehicles which carry up to 50 tons of cargo. We use a modern and certified scale. If you want to check the amount of cargo you are transporting, get in touch with us every day between 7:00 and 15:00. Since the TAČ d.o.o. factory is strategically located next to a railway line, we can offer services of unloading the train directly to your vehicle while using conveyor belts. We are situated in an ideal location with a large turning site. The price for unloading the train will be agreed individually, since it depends on the amount of cargo and its type. In order to find out the specific price, please contact us on a working day between 07:00 and 15:00 and provide us with detailed information about the cargo.